Having completed my undergraduate studies in History and Archaeology, I went on to undertake a DPhil thesis at St Peter’s College, Oxford. I then held a Scouloudi Fellowship at the Institute of Historical Research in London and a British Academy Post-doctoral Research Fellowship at the University of Exeter before being appointed to my present post at Southampton. 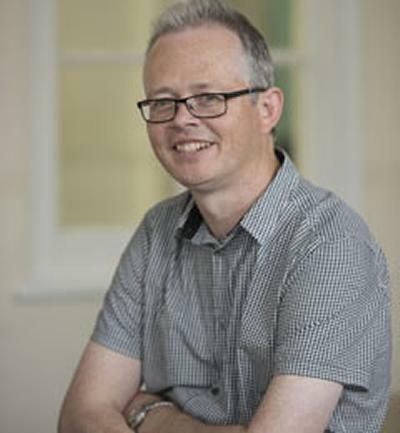 I specialise in early modern British history, with particular research interests in the British crisis of the 1640s; witchcraft; urban society; and cultural, ethnic and religious identity in Wales and Cornwall between 1450 and 1700. I have written a score of scholarly articles and seven monographs, including Soldiers and Strangers: An Ethnic History of the English War (Yale University Press, 2005); The Black Legend of Prince Rupert’s Dog: Witchcraft and Propaganda during the English Civil War (University of Exeter Press, 2011); and Water in the City: The Aqueducts and Underground Passages of Exeter (University of Exeter Press, 2014). I have also appeared on many local and national radio and TV programmes, including: ‘Who Do You Think You Are?’; ‘The World at One’; ‘The Long View’; ‘Making History’; ‘The Great British Story’, ‘Inside Out’; ‘Word of Mouth’ and ‘The Roots of English’. I am a former member of the Council of the Royal Historical Society and I currently sit on the editorial advisory panel of BBC History Magazine. In 2012, I received a Vice-Chancellor’s Teaching Award in recognition of my outstanding contribution to education at the University of Southampton. My chief research specialism is in the history of the British Civil Wars of the mid-seventeenth century. I have written widely on this theme, and have also published books and articles on witchcraft, on Cornish and Welsh ethnic identity during the Tudor and Stuart periods, on massacre and atrocity during the 1640s, on urban fortification and on the early modern town. I am currently carrying out research into: a) the Western Rising of 1549 (the so-called ‘Prayer Book Rebellion'); and b) the role played by women in the English Civil War. Stoyle, M. (2018). The Stuarts, 1603-1714: gunpowder, treason and plot. BBC Countryfile Magazine, 66-69. Stoyle, M. (2017). A hanging at St Keverne: the execution of two Cornish priests in 1549. Devon and Cornwall Notes and Queries, 62(1), 1-4. Stoyle, M. (2017). The Western Rebellion of 1549: religious protest in Devon and Cornwall. Modern History Review, 20(1), 18-21. Stoyle, M. (2015). My favourite place - Brittany. BBC History Magazine, 2015(10), 86-87. Stoyle, M. (2015). Review of T. Harris, Rebellion. BBC History Magazine, 75. Stoyle, M. (2015). The great myths of the Civil War. BBC History Magazine, 2015(5), 33-39. Stoyle, M. (2015). Witchcraft in Exeter: the cases of John and Elizabeth Crosse. Devon and Cornwall Notes and Queries, 41(7). Stoyle, M. (2014). History's big numbers. BBC History Magazine, 2014(2), 30-34. Stoyle, M. (2014). No Christmas under Cromwell? BBC History Magazine, 58-61. Stoyle, M. (2014). Review: P. Ackroyd, The History of England, Volume III: Civil War. BBC History Magazine, 2014(12), 69-70. Stoyle, M. (2014). What happened to the royal palaces during Oliver Cromwell's rule? BBC History Magazine, 2014(7), 91-91. Stoyle, M. (2013). History explorer: the civil war. BBC History Magazine, 80-83. Stoyle, M., & Hodgeman, C. (2013). On the Civil War trail. Historyextra.com. Stoyle, M. (2012). Review: D. Jordan and M. Walsh, The King’s Revenge: Charles II and the Greatest Manhunt in British History. BBC History Magazine, 2012(9), 61-62. Stoyle, M. (2012). The Scawen Manuscript. Youtube. Stoyle, M. (2011). Hidden tunnels in Exeter. History Extra. Stoyle, M. (2011). No Christmas under Cromwell? BBC History Magazine, 12(13), 20-25. Stoyle, M. (2011). Review: A.I. Macinnes, The British Confederate: Archibald Campbell, Marquess of Argyll, circa 1607-61. BBC History Magazine, (20), 69. Stoyle, M. (2011). Review: J. Stubbs, Reprobates: The Cavaliers of the English Civil War. BBC History Magazine, (16), 65. Stoyle, M. (2011). The prince and the devil dog. BBC History Magazine, 12(5), 22-26. Stoyle, M. (2011). Witchcraft in Exeter: the case of the widow Stone, 1619-20. Devon & Cornwall Notes & Queries, 40(9), 259-262. Stoyle, M. (2010). Rebellion and terrorism. History Extra. Stoyle, M. (2010). The execution of a witch in Elizabethan Exeter. Devon and Cornwall Notes and Queries, 40(7). Stoyle, M. (2010). The Prayer Book Rebellion. BBC History Magazine, 11(12), 80-85. Stoyle, M. (2009). Review: B. Worden, The English Civil Wars, 1640-1660. BBC History Magazine, 10(5), 66. Stoyle, M. (2009). Review: H. Pierce, Unseemly Pictures: Graphic Satire and Politics in Early Modern England. BBC History Magazine, 10(4), 70. Stoyle, M. (2009). Two new seventeenth-century witch-cases from Exeter. Devon and Cornwall Notes and Queries, 40(Part IV), 163-173. Stoyle, M. (2009). Who were the Levellers? BBC History Magazine, 10(4), 92-92. Stoyle, M. (2008). Afterlife of an army: the old Cornish regiments, 1643-44. Cornish Studies, 16, 26-47. Stoyle, M. (2007). On the net: the English Civil War. BBC History Magazine, 8(2). Stoyle, M. (2006). Restrictions on travel in the English Civil War. BBC History Magazine, 7(10), 101-101. Stoyle, M. (2006). Review: D. Purkiss, The English Civil War: A People’s History. BBC History Magazine, 7(6). Stoyle, M. (2005). British History TImeline: Civil War and Revolution. BBC History Website. Parker, R., Passmore, A., & Stoyle, M. (2005). Fort Charles, Salcombe: a coastal artillery fort of Henry VIII. Proceedings of the Devon Archaeological Society, 63, 115-137. Stoyle, M. (2005). Overview: Civil War and revolution, 1603-1714. BBC History Website. Stoyle, M. (2002). The Cornish: a neglected Nation? BBC History Website. Stoyle, M. (2001). Choosing sides in the English Civil War. BBC History Website. Stoyle, M. (2000). English 'nationalism', Celtic particularism and the English Civil War. The Historical Journal, 43(4), 1113-1128. Stoyle, M. (2000). Review:J. Walter, Understanding Popular Violence in the English Revolution. Albion: A Quarterly Journal Concerned with British Studies, 32(3), 490-491. Stoyle, M. (1998). Review: Popular politics and religion in Civil War London. By K. Lindley. Pp. xiii?442pp. Aldershot: Scholar Press, 1997. £49.50. 1 85928 343 8. The Journal of Ecclesiastical History, 49(2), 368-370. Stoyle, M. (1997). Cornish rebellions, 1497-1648. History Today, 47(5), 22-28. Stoyle, M. (1996). Review: Susan D. Amussen and Mark A. Kishlansky. Eds. 1995. Political Culture and Cultural Politics in Early Modern Europe. Manchester: Manchester University Press. vii + 369 pp. ISBN 0-7190-4695-5. £50.00. Renaissance Forum, 1(1). Stoyle, M. (1995). Exeter, Southgate. Exeter Archaeology Report, 94(59). Stoyle, M. (1995). The Civil War defences of Plymouth. Exeter Archaeology Report, 93(82). Stoyle, M., & Todd, G. (1994). A cavalier cartographer. History Today, 44(3), 4-5. Stoyle, M. (1994). Fort Charles, Salcombe. Exeter Archaeology Report, 94(53). Stoyle, M. (1994). Whole streets converted to ashes: property destruction in Exeter during the English civil war. Southern History: A Review of the History of Southern England, 16, 67-84. Stoyle, M. (1993). Calendar of the Stone collection. Exeter Archaeology Report, 93(54). Stoyle, M. (1993). The honour of General Monck. History Today, 43(8), 43-48. Stoyle, M. (1992). An early incident in the Life of General George Monck. Devon and Cornwall Notes and Queries, 37(1), 7-14. Stoyle, M. (1992). Review: J. Eales, Puritans and Roundheads: The Harleys of Brampton Bryan and the English Civil War. Midland History, 17(1), 146-147. Stoyle, M., & Juddery, J. (1988). The city defences of Exeter, 1339-1650. Exeter Museum, documentary reports, 1986-88, 30. Stoyle, M. (2017). Witchcraft in Exeter, 1558-1660. Exeter: Mint Press. Stoyle, M. (2014). 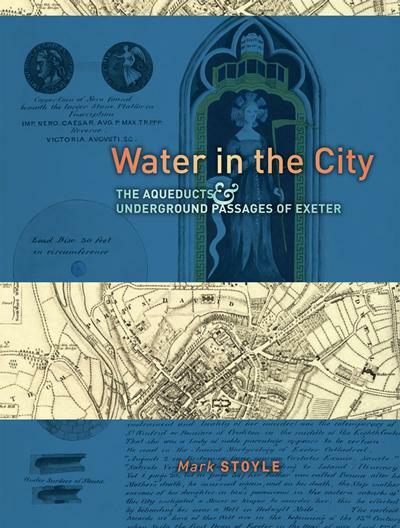 Water in the city: the aqueducts and underground passages of Exeter. Exeter, GB: University of Exeter Press. Stoyle, M. (2011). 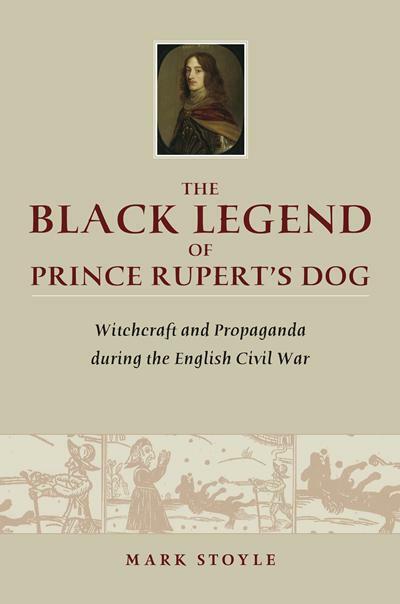 The black legend of Prince Rupert's dog: witchcraft and propaganda during the English civil war. Exeter, GB: University of Exeter Press. Stoyle, M. (2005). Soldiers and strangers: an ethnic history of the English Civil War. New Haven, USA : London, UK: Yale University Press. Stoyle, M. J. (2003). Circled with stone: Exeter's city walls 1485-1660. Exeter, GB: University of Exeter Press. Stoyle, M. (2003). Circled with stone: Exeter's city walls, 1485-1660. Exeter, GB: University of Exeter Press. Stoyle, M. (2002). 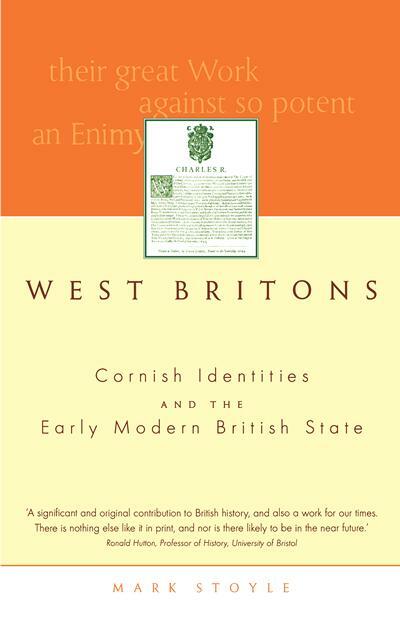 West Britons: Cornish identities and the early modern British state. Exeter, GB: University of Exeter Press. Stoyle, M. (2001). Devon and the Civil War. (Concise Histories of Devon). Exeter, UK: Mint Press. Stoyle, M. (1998). Plymouth in the Civil War. (Devon Archaeology; No. 7). Exeter, GB: Devon Archaeological Society. Stoyle, M. (Ed.) (1996). From deliverance to destruction: Rebellion and civil war in an English city. (Exeter Studies in History). Exeter, GB: University of Exeter Press. Stoyle, M. (1995). Exeter in the Civil War. (Devon Archaeology; No. 6). Exeter, GB: Devon Archaeological Society. Stoyle, M. (Ed.) (1994). Loyalty and locality: Popular allegiance in Devon during the English civil war. Exeter, GB: University of Exeter Press. Stoyle, M. (2014). His Majestie's sea service in the western parts: Maritime affairs in Cornwall during the English civil war. In P. Payton, H. Doe, & A. Kennerley (Eds. ), The Maritime History of Cornwall (pp. 106-115). Exeter, GB: University of Exeter Press. Stoyle, M. (2012). 'Delving in the dark corners of the land': reflections on an historical apprenticeship. In J. Bliss, C. Jago, & E. Maycock (Eds. ), Aspects of Devon's History: People, Places and Landscapes Exeter, GB: Devon History Society. Stoyle, M. (2008). The afterlife of an army: the "Old Cornish" regiments, 1643-44. In P. Payton (Ed. ), Cornish Studies VOlume 16 (pp. 26-47). Exeter, GB: University of Exeter Press. Stoyle, M. (2004). Remembering the English civil war. In P. Gray, & K. Oliver (Eds. ), The Memory of Catastrophe (pp. 19-30). Manchester, UK: Manchester University Press. Stoyle, M. (2002). Rediscovering difference: the recent historiography of Early Modern Cornwall. In P. Payton (Ed. ), Cornish Studies Volume 10 (pp. 104-115). Exeter, GB: University of Exeter Press. Stoyle, M. (2000). Caricaturing Cymru: images of the Welsh in the London press, 1642-1646. In D. Dunn (Ed. ), War and Society in Medieval and Early Modern Britain (pp. 162-179). Liverpool, GB: Liverpool University Press. Stoyle, M. (2000). Die Wasserversorgung der stadt Exeter. In A. Hoffmann (Ed. ), Die Wasserversorgung in der Rennaissancezeit (pp. 206-212). Mainz, DE: Philipp von Zabern. Stoyle, M. (1998). Cornish rebellions. In S. Parker (Ed. ), Cornwall Marches On: Keskerdh Kernow 500 (pp. 9-17). Truro, GB: Keskerdh Kernow. Stoyle, M. (1997). "Whole streets converted to ashes": property destruction in Exeter in the English Civil War. In R. C. Richardson (Ed. ), The English Civil Wars: Local Aspects (pp. 129-144). Stroud, GB: Sutton. Stoyle, M. (1996). Malignants. In R. Fritze, & W. Robison (Eds. ), Historical Dictionary of Stuart England, 1603-1689 (pp. 323). Westport, US: Greenwood. Stoyle, M. (1996). Neutralism. In R. Fritze, & W. Robison (Eds. ), Historical Dictionary of Stuart England, 1603-1689 (pp. 351-353). Westport, US: Greenwood. Stoyle, M. (1996). Sir Richard Grenville's creatures: the new Cornish tertia, 1644-46. In P. Payton (Ed. ), Cornish Studies Volume 4 (pp. 26-44). Exeter, GB: University of Exeter Press. Stoyle, M. (1996). 'The Clubmen'. In R. Fritz, & W. Robison (Eds. ), Historical Dictionary of Stuart England (pp. 102-103). Westport, US: Greenwood. Stoyle, M. (1996). The counterfeit king: popular reaction to the accession of King James I, 1603. In T. Gray (Ed. ), Devon Documents (pp. 177-183). Exeter, GB: Devon & Cornwall Notes & Queries. Stoyle, M. (2017). Such times were never before seen in England: the impact of the English Civil War. BBC History Magazine, 75-81. Stoyle, M. (2017). Expert comment: English Civil War Petitions. BBC History Magazine, April 2017, 12. Stoyle, M. (2016). Who Was Prince Rupert's Dog? BBC History Magazine, 93. Stoyle, M. (2018). Review of A. Pickering, 'The Witches of Selwood Forest'. Southern History: A Review of the History of Southern England. Stoyle, M. (Accepted/In press). Review of Andrew Pickering, The Witches of Selwood Forest: Witchcraft and Demonism in the West of England, 1625-1700. Southern History: A Review of the History of Southern England. Any area of early modern English and Welsh history between 1450 and 1660, especially on topics relating to the Civil Wars. Dr Alistair Dougall, The Devil’s Book: Charles I, the Book of Sports and Puritanism in Tudor and Stuart England (Exeter University Press, 2011). Dr John Ellis, To Walk in the Dark: Military Intelligence during the English Civil War, 1642-46 (Stroud, 2011). Dr Imogen Peck, ‘A Chronology of some Memorable Accidents: The Representation of the recent past in English Almanacs, 1648-60’, forthcoming in Historical Research. Lewis Brennen, ‘The Politics of Witchcraft in Elizabethan and Jacobean England’. Natalie Williams, ‘Border identities in late sixteenth- and early seventeenth- century Britain’.